Insurance policies contribute to the dual benefit of meeting your long term financial objectives and also act as a tax saver. Be it term insurance, health insurance, life insurance or unit linked insurance plan, they all offer varied tax benefits. 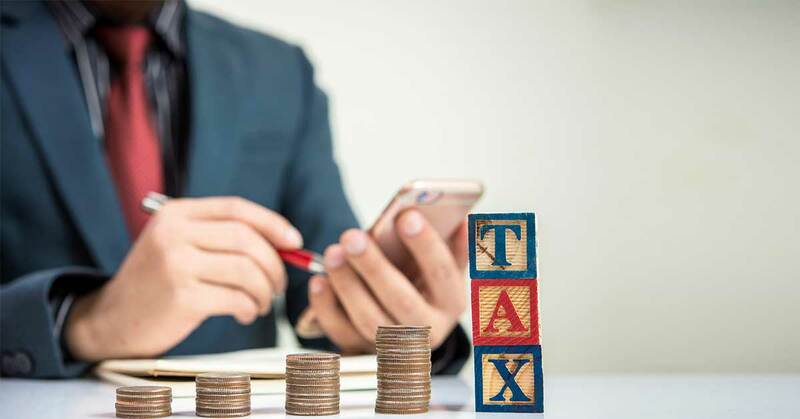 Here’s a must-read on the host of tax benefits that you can avail on your insurance policies in the approaching tax season. Applicable to individuals and Hindu Undivided Families (HUFs) – individual assessees refer to the individual himself, the husband/wife of the individual assesse or children of individual assessees. For HUFs, tax deductions can be claimed on premiums up to a maximum of 20% of the pre-decided sum assured when the premium paid by an assessee during a financial year exceeds 20% of the sum assured on policies bought before 1st April 2012. Tax deductions can be claimed on premiums up to a maximum of 10% of the pre-decided sum assured on policies bought on and after 1st April 2012. Under Section 80C of the Income Tax Act 1961, an assessee can avail tax deductions up to Rs. 1.5 lakh. Any sum that an individual assessee receives from an insurance company on insurance of a dependent handicapped member under Section 80DD(3) of the Income Tax Act, 1961. Any sum that an individual assessee receives from an insurance company when a dependent, or a member of family is suffering from a notified disease [under subsection (3) of section 80DDA]. issued on or after April 1st, 2003 but before April 1st, 2012 - Exemption available only when annual premium payable exceeds 20% of sum assured. issued on or after 1st April 2012 - Exemption available only when annual premium payable exceeds 10% of sum assured. issued on or after April 1st, 2013 for a disabled person referred to in Section 80U or a person with disease or ailment specified in section 80DDB – Exemption available only when annual premium payable exceeds 15% of sum assured. Tax deductions of up to Rs.25,000 on health insurance plans for families, which comprises of the policyholder, his/her spouse and parents. Health insurance plans for senior citizen parents are eligible for tax deductions of up to Rs.30,000 on the gross taxable income. This sum has been increased to Rs.50,000 for the Assessment Year 2019-20. Tax deductions under this section are applicable on medical expenditures incurred on the treatment of certain ailments, as specified in your policy document. These ailments usually include malignant cancer, neurological diseases, Parkinson’s disease, AIDS, chronic renal failure, thalassemia, certain neurological diseases, haematological disorders, etc. Tax deduction for these illnesses is applicable for up to Rs.40,000. For senior citizens, the maximum tax deductions that can be claimed is Rs.60,000, which is supposed to be increased to Rs.1,00,000 for the Assessment Year 2019-20. For medical treatment of a very senior citizen, the maximum tax deduction that can be claimed is Rs. 80,000, which has been increased to Rs.1,00,000 for the Assessment Year 2019-20. Death Benefit paid to the beneficiary in the policyholder’s demise or Maturity Benefit, including bonuses, paid to the policyholder as a survival benefit attracts tax exemptions under this section on certain terms and conditions. Sum assured received, with the exception of Death Benefits, are not exempt from taxes for policies issued on or post 1st April 2003 but on or before 31st March 2012. For policies issued on or post 1st April 2012, deductions will be applicable only when the total premium amount is not more than 10% of the sum assured. Maximum limit for deductions on premiums cannot be less than 20% of the total sum assured. Sum received under Section 80DDA(3) or Section 80DD(3) is not exempt from taxes, except on certain terms and conditions. Tax benefits are applicable on inbuilt or additional health benefit riders like Critical Illness Rider, Hospital Care Rider, Surgical Care Rider, etc. Tax deductions for ULIPs offer dual benefits - one, during investments and maturity, and second, at the time of insurance or retirement benefits. Individuals and Hindu Undivided Families can avail tax benefits. Maximum tax deductions that can be availed is up to Rs.1.5 lakh on annual premium payment(s). Tax benefits cannot be availed on ULIPs discontinued before the completion of 2 years. Premium payments for a retirement scheme is eligible for tax deductions of up to Rs.1.5 lakh under sub-section 80CCC and is applicable to individual taxpayers only. Tax deductions are applicable on premium amounts up to a maximum of 10% of the pre-determined sum assured as a Maturity Benefit or on the amount received on partial withdrawal. Tax deductions on premium payments for policies bought on or before 1st April, 2012 are restricted to up to 20% of the sum assured. Any sum received as pension from an annuity plan or any sum received after the surrender of ULIP is taxable.